Congratulations to Jerry Monroe, Winner of WSOPC Biloxi Main Event ($112,779)! Three days ago 337 people put up $1,600 in an attempt to take down a World Series of Poker Circuit tournament and win a shiny gold ring. Today only one man remains. Jerry Monroe was able to best “Wild” Bill Phillips heads up and take down a first prize of $112,778. Day 3 saw 12 players vying for a spot at the final table of nine. After two fairly quick bust outs, the remaining players were condensed to one ten-handed table. The final table bubble burst when John Holley moved all in with on a flop. Unfortunately for Holley, he was behind Michael Nasserazad’s and failed to improve. This left us with the official final table. 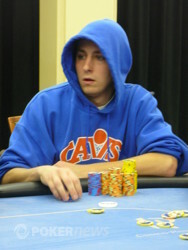 Jacob Naquin came out firing at the final table and took early command of the chip lead. We saw the first elimination fairly quickly when David E. Williams’ failed to best “Wild” Bill Phillips’ . A few hands later, Russel Ivy got his entire stack in the middle with pocket sevens, but could not catch up to Jacob Naquin’s pocket tens. 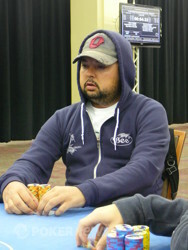 Ivy’s eighth place finish netted him 27.5 points in the WSOPC National Leaderboard. Which boosted Ivy to second place overall with 102.5 points. Still ahead of Ivy is Felicia Johnico with 107.5 points. 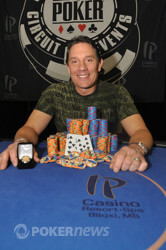 Jerry Monroe was able to score a key double up which helped propel him towards his victory. Monroe became engaged in a battle of preflop raises with Jacob Naquin that resulted in Monroe being all in for his tournament life. Naquin struck gold when the flop came . However, Monroe was able to hit a miracle card when the rolled off on the turn. The hit on the river and momentum was officially in the hands of Monroe. Michael Nasserazad was the next casualty, he was sent packing when his could not hold up against Jacob Naquin’s . Ronnie Sewell was then sent to the rail in sixth place when he moved all in with jack-high against Jerry Monroe’s flopped trip aces. Jeremy Drewery came into Day 3 play as the chip leader but could not seem to gain any momentum, losing 1.25 million in the first two levels. He eventually moved in preflop with but was crushed by Monroe’s . He failed to improve and was sent to collect $28,420 in 5th place money. From there it seemed that Bill Phillips was on the verge of elimination, but he managed to score two key doubles ups. Phillips’ pocket sevens cracked Naquin’s pocket jacks, and he rivered a nut flush a few hands later to double up through Chris Parsons. This hit sent Parsons’ chip stack on a downward spiral and eventually he was all in and racing against Jerry Monroe. Parsons’ pocket nines were defeated when Monroe’s ace-jack flopped a jack and Parsons was sent home in fourth place. Jacob Naquin was the next casualty of the final table, calling off his tournament life with on a board of . Monroe, however, was ahead of Naquins nines, as his made a winning straight. Naquin was sent home with a payday of $50,862, a nice addition to his score of $213,520 for his recent fourth place finish in the WSOP Event #43: $1,500 No-Limit Hold’em. It seemed we would be in for quite a heads up battle between Jerry Monroe and “Wild” Bill Phillips, but the two players were able to get all of the money in before the flop on the third hand. 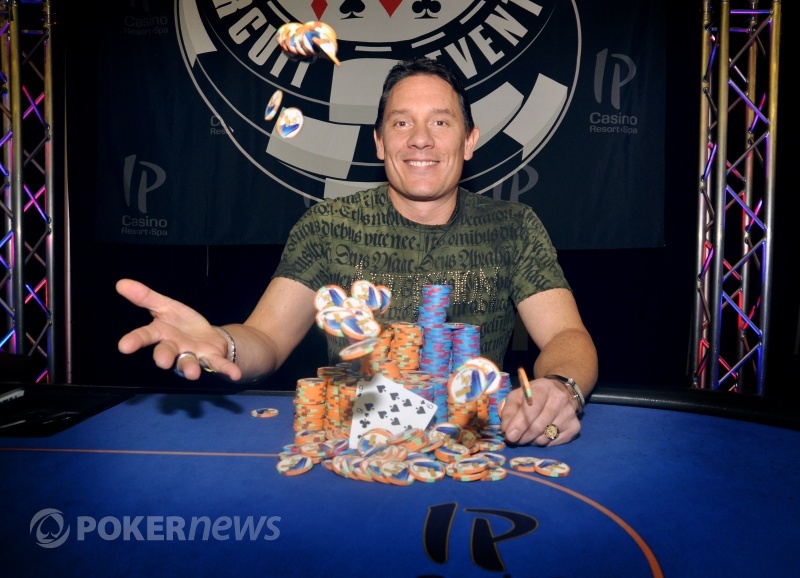 The board rolled out and Monroe’s black nines were able to seal the deal, awarding him $112,779 in first place money as well as a WSOPC Main Event Ring. 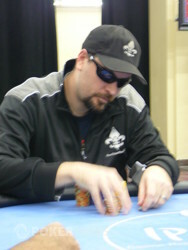 "Wild" Bill Phillips was eliminated on only the third hand of heads up play. Jerry Monroe opened for 110,000 on the button and Phillips raised to 400,000. Monroe moved all in and Phillips called. The hands were tabled and they were off to the races for six-figure payday and a seat in WSOPC National Championship. The board ran and Phillips never improved his hand and was eliminated. With a flop of , Jacob Naquin pushed out a bet of 130,000. Jerry Monroe made the call and the two players saw the hit the turn. Naquin pushed out a bet of 250,000 and Monroe instantly announced that he was all in. Naquin made the call for his last 940,000 and tabled . Unfortunately for Naquin, Monroe flipped over for a turned straight. The river brought the and Naquin was sent home with $50,862 in third place winnings. The players have been back for 20 minutes and have been pushing blinds and antes around the table. We've two hands with a flop. Cards are back in the air following the short break. Action folded around to Jerry Monroe in the small blind and he completed. Chris Parsons tossed out a raise from the big blind, making it 50,000. Monroe announced a three-bet, making the action 250,000 to go. Parsons stood up and paced around his seat before announcing that he was all in. Monroe made the call. The board fell and Monroe's pair of jacks sent Parsons packing. He will collect $37,726 for his efforts.